We were on the same page on Monday. With the first day of June you gave us warm weather, a hot as hell sunny day and even an afternoon thunderstorm to cool things down a bit. We were good. However, all of a sudden you decided that you weren’t ready for Summer and you dropped the temperature and figured that you’d dump gallons and gallons of cold rain on us. What gives? Bring back the warm weather, lady! -Sincerely, the girl that was all prepared for hot weather! Seriously, I was totally prepared to embrace Summer. I was ready. I should not be cold on June 3rd! Had I known I was going to be shivering I would have gotten my my nails and toes painted blue instead of hot pink on Monday! 😉 haha Ps. have you seen my cute nail polish? I’ve been getting my nails painted with this “Mood” nail polish for a month or two and I’m really loving it! It doesn’t really change with your mood but it does change with the temperature. Like with the polish I have on right now, it changes to hot pink when it’s hot and it turns to dark purple when it’s cold. I posted a video of it on my Instagram if you wanna check it out. <<– Yeah I know I got totally side tracked there. It’s just how my brain works haha. So back to dreaming about Summer, I guess. This past weekend I stocked our fridge with sweet tea, limeade, lemonade and water in preparation for June and now it seems like I should have been hoarding hot chocolate. But this cold, rainy “summer” weather can’t last forever so I suppose it’s ok. I’m sure I’ll be begging for this kind of weather come August!! 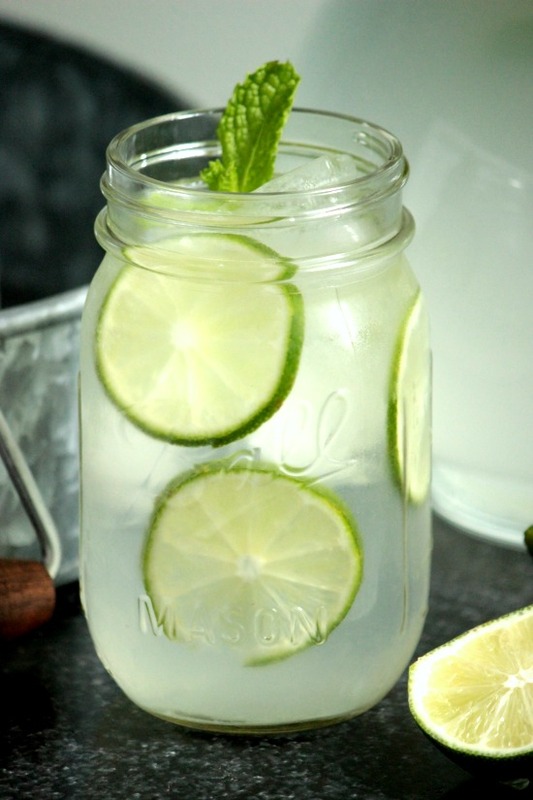 Well we all know that I love a great glass of Sweet Tea, and I’m quite fond of lemonade (even if it does make me thirsty) but one of my favorite “citrus infused” drinks is Limeade! We have a little pretzel shop in the mall that serves really good limeade and I just love stopping by there to grab a cup of it when I can. 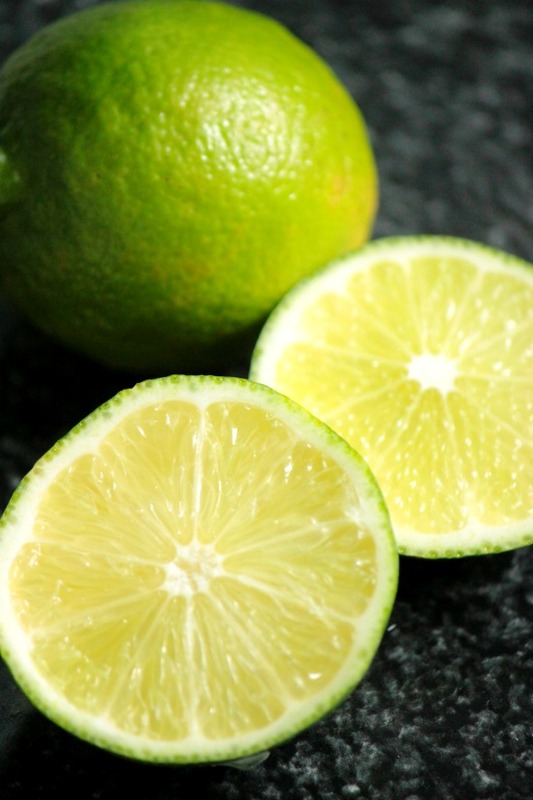 It’s sweet but has a tangy kick from the lime; it’s just a perfect. I prefer mine to be poured over crushed ice but there’s definitely nothing wrong with regular ice cubes! Make sure it’s super cold when you serve it. If you put the mint leaves and lime slices in there and then chill it, they’ll add even more flavor! You can Thank my friend Nikki for that idea. You’re welcome. That’s kinda perfect for this #SouthernSippinDrinkWeek! In a medium sauce pan, stir together the sugar and 2 cups of water. Bring to a boil and stir until sugar is dissolved to make a simple syrup. Juice about 6 limes to get about 1/4 cup lime juice. Add the simple syrup, ice, lime juice and mint leaves to a large pitcher. Stir. Slice one or two of the left over limes and add the slices to the pitcher. Add in the remaining cups of water and stir. Such a refreshing drink…at least you can sip on it and look forward to the hot, sunny days ahead…here in Florida it is full on! This looks like the perfect summer drink. Limeade is my favorite and you do need some good sugar. It looks great and I am sure divine with you nail polish! I can’t believe how cold it got everywhere the other day. It even felt a little “cooler” here with the not too humid breeze I felt the other night walking my pups. 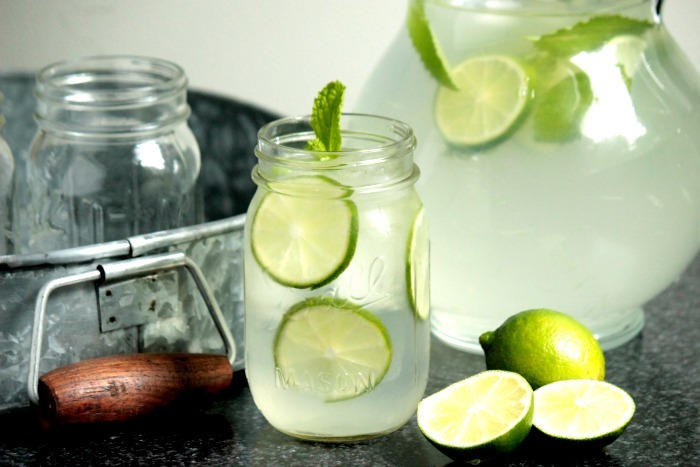 This is a lovely and refreshing summer drink idea…I just love LIMES!! This is been the weirdest summer. It’s been rainy and cool in Illinois where I live, and hardly pool weather. This makes me sad so I’d have to add some vodka to your homemade limeade to make me feel better. Love lime and mint together. we love limeade! trying your version! It’s been the same here in Charlotte! I actually wore long sleeves and a sweater out today, but I am kind of weird like that! This looks so refreshing! YUMMM!! I love limeade, love that you posted this and included some mint! 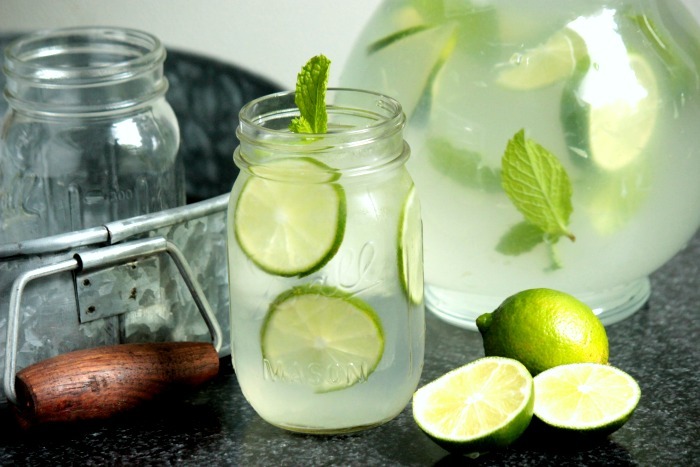 This limeade looks so refreshing…it’s been hot as the fiery depths of the center of the earth the past few days so this would be so helpful. As would your mood polish…which I saw on Instagram. I love hot pink!